What People Are Saying about Has American Christianity Failed? 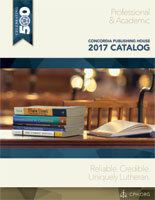 In this sparkling handbook of Lutheran theology, the author draws on his own experience of popular American Christianity. Yet his focus is not on his own story but on the common impact of God’s Word as Law and Gospel on its hearers. Against the backdrop of American Christianity’s spiritually shallow and superficially biblical claims, he portrays the full counsel of God evangelically and sacramentally, with wit and verve, clarity and depth, passion and imagination. And he does all of this pastorally—as comfort to people with a bad conscience! By the way that he teaches God’s Word, Wolfmueller arrests our attention, surprises us mentally with many new insights, energizes us spiritually, and gladdens our hearts. His book’s teaching drives away the cloying stench of decadent piety and replaces it with the joyful aroma of Christ and His fragrant, life-giving message. Wolfmueller refuses to believe in the silent God of American spirituality and speaks the sweet savor of the Gospel at a time when we need it most. With a deft hand, he lances the boil of religious hypocrisy, but not without reason: the goal is not just to get the infection out, but to get the antidote in. Has American Christianity Failed? is an essential addition to the library of anyone who wonders why American spirituality seems so broken and is looking for God’s plan to fix it. [Read more…] about What People Are Saying about Has American Christianity Failed?